As the second largest city and capital of South Carolina, Columbia, is filled with art, culture, and history. From canoeing at Congaree National Park to seeing art and antiquities at the South Carolina State Museum, visitors will have so much to see and do during their vacation there. 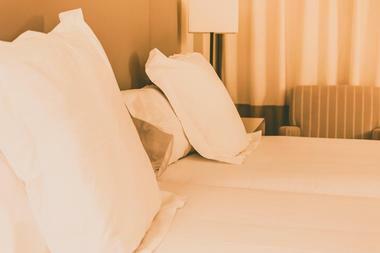 No matter if the trip is personal or business, whether traveling alone or in a group, there are many accommodation options to meet any traveler’s needs. Some of the city’s best places to stay are the historic 1425 Inn, the Inn at USC Wyndham Garden, Springhill Suites, and the Inn at Claussen’s, which is housed in an old town bakery. Situated on the scenic University of South Carolina campus, the Inn at USC Wyndham Garden offers guests a combination of modern living amenities with historic Southern grandeur. There are 116 rooms and suites for guests to choose from; luxury travel amenities within the room include a work space, refrigerator, and cable television. All guests are provided with complimentary made-to-order breakfast, free Wi-Fi, and access to the extensive business and fitness centers. Overlooking the stunning university campus, the hotel is also a short distance from local attractions, award-winning restaurants, shopping options, and various entertainment venues. 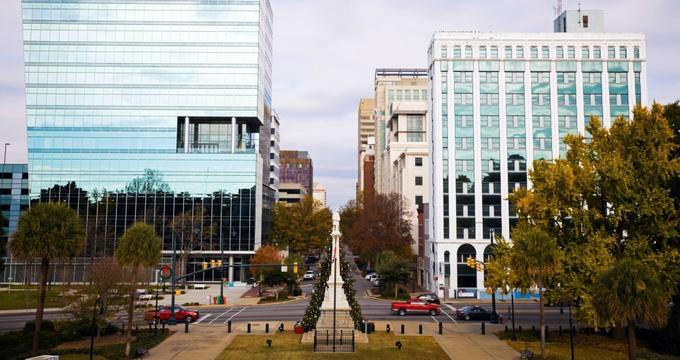 Aloft Columbia is located right in the middle of Columbia’s historic downtown district and the Vista. Guests there will be within walking distance of some of the hottest attractions in the area and mere minutes away from the Columbia Metropolitan Airport, the University of South Carolina, and Five Points. While guests are staying in the spacious and well-equipped rooms, they’ll be able to access hotel features such as the Re:charge gym and fitness center as well as the W XYZ Bar. 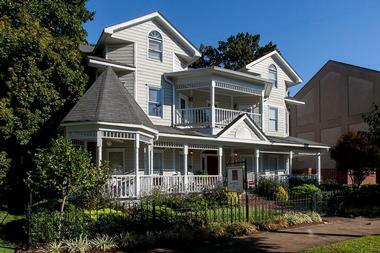 The modern, tech-savvy environment and the comfortable loft-inspired rooms make this one of the best designed accommodation options for visitors to Columbia, South Carolina. 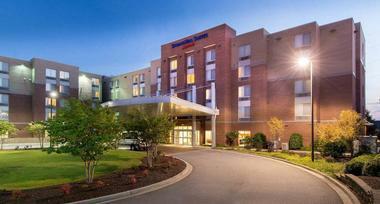 Guests will discover genuine Southern hospitality during their stay at Columbia Marriott. From comfortable pillowtop beds and stunning marble bathrooms to sleek design and decor, the Columbia Marriott offers guests the perfect base while exploring South Carolina. The hotel’s restaurant, Midlands’, is a great place for guests try traditional Southern cuisine with a modern twist. Other hotel features and amenities include free Wi-Fi, a fitness center, a heated indoor swimming pool, and a lounge bar in which to unwind. Nearby attractions for guests to explore are the Columbia Museum of Art, the Koger Center, and the Riverbanks Zoo. The Hilton Columbia Center is just steps away from some of the district’s historic sites and attractions as well as shops, restaurants, and nightlife. 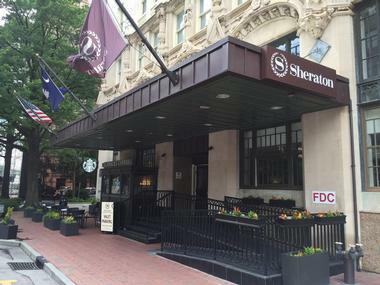 Visitors can easily access the University of South Carolina, the Metropolitan Convention Center, the Columbia Museum of Art, and the State Capitol while staying at the Hilton Columbia Center. There’s a Ruth’s Chris Steak House and Bar right in the hotel lobby, so guests will never have to venture far for a delicious meal. Other perks include a 24-hour fitness center, a heated outdoor swimming pool, complimentary Wi-Fi, and a generous event space perfect for private parties, conferences, and much more. The Sheraton Columbia Downtown Hotel goes out of its way to ensure that guests have the best experience in their home away from home at the hotel. There are over 134 rooms and suites for guests to choose from, all of which have complimentary wireless internet access from the room. Other in-room features include a work space, flat-screen television, and complimentary bathroom amenities. There are three dining and drinking options within the hotel for visitors to enjoy, such as P.O.S.H. with made to order breakfast and dinner, the baked goods cafe Perk Up, and the hotel’s bar, the Rooftop Lounge. There are eight rooms guests can choose from during their stay at the 1425 Inn; each room is named after significant aspects of South Carolina’s history. The unique decor and atmosphere of the rooms makes this one of the most memorable places to stay while in Columbia. Each room has its own private en suite bathroom and many other personal little touches that make a stay there enjoyable. The inn is open for dinner in a family-style setting nightly, while guests with a particular palate can ask the chef to prepare specific meals for them when they book their stay. Other services offered by the hotel include decorating the room with fresh flowers, chocolates, candles, champagne, or anything else needed to make for a perfect romantic getaway. Housed in what was formerly old Claussen’s Bakery, the Inn at Claussen’s can be found in Columbia’s Five Points District. One of the best parts of staying at the Inn at Claussen’s is the complimentary breakfast and wine that is delivered to each room for guests to enjoy during their stay. 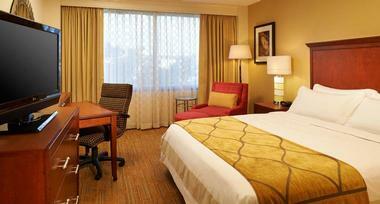 The hotel is within walking distance of renowned shopping and dining options in the area as well as USC. Nearby sites and attractions that visitors could explore include the Edventure Children’s Museum, the Woodrow Wilson Family Home, Frankie’s Fun Park, and the annual Central Carolina Food and Wine Festival. Guests at the Courtyard by Marriott at USC will be in close proximity to many of the sites and attractions nearby, including the Williams Brice Stadium, the Carolina Coliseum, and the State Capitol. Centrally located near the historic Congaree Vista District, guests will also be a short distance away from various fine dining options, shopping, and exciting nightlife. The hotel has 189 rooms, each of which have access to a 24-hour market, on-site bistro dining, and complimentary property-wide Wi-Fi. 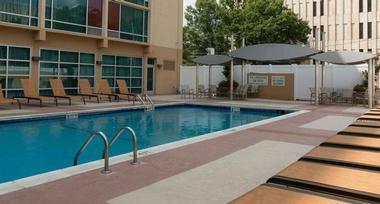 Other aspects include an on-site fitness center, a 24-hour business center, an outdoor pool, and laundry facilities. Features within the room include a minifridge, additional pull-out sofa beds, and stunning views of the surroundings. Located right in the middle of the Congaree Vista district in Columbia, South Carolina, Springhill Suites/The Vista puts their guests in the heart of everything the stunning town offers. Guests will be within walking distance to renowned dining options and upscale boutiques for them to explore while there. The spacious hotel suites offer comparably larger rooms than similar hotels, and each of the rooms is fitted with everything guests need to get comfortable in their home away from home. Amenities include free Wi-Fi, an iHome, a minifridge, and a microwave inside the room, while on-site amenities comprise the 24-hour business center, indoor pool, and fitness center as well as free hotel parking.